A dare-devil and deadly armed robbery gang has early hours of Friday, cordoned the Otukpa-Ugbokolo section of the federal road, causing commuters to hide inside bush for over an hour. 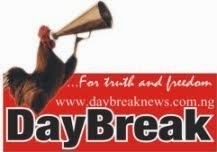 Information reaching DayBreak Newspaper says the men of the underworld took advantage of a fallen tanker at the Okwungaga junction, Odoba Ogaje axis of the road to stage their operation by ripping-off properties worth millions of naira from innocent road users. According to the ‘eye witness account’ by one Barr. Akor Ikwuoche, the robbers took over the federal road for about an hour. “We were travelling but couldn’t cross through the path just as every other road users couldn’t pass through the spot to our end”, he said. Barr. Ikwuoche also said he had to alert the executive Chairman of Ogbadibo LGC, who in turn informed the Joint Military Task Force popularly known as ‘Operation Zenda’ for urgent action. “Before the JTF could arrive, there was a military van on transit with a driver and 2 other Officers, when we stopped them and warned them against the robbery siege, they demanded to know the number of minutes it would take to arrive at the spot and we told them. About 2 minutes later, we heard several gunshots and after some time, the blockade was dismantled and that was how we managed to pass through”, Ikwuoche said. An Okada rider from Odoba Otukpa who identified himself as John also confirmed the attack. “Yes, the robbery started around 8 am this morning”, John said. This robbery incident is coming barely one week after a Police Officer was allegedly killed by a suspected armed robbery gang dressed in Army and Police uniform at the Abo axis of Otukpa-Abuja federal road. In the ugly encounter, the late officer who hails from Ogene-ago in Otukpa, Ogbadibo LGA of Benue State was travelling to Abuja with his family when suddenly he was stopped by ‘men-in-uniform’ and they were all asked to come down from the vehicle. “The wife found it difficult to come down because of her baby and the ‘men’ seized the baby with force and threw it into the gutter. When the husband reacted that how could they have done such an inhuman act to him even as a fellow ‘Officer of the Federal Republic of Nigeria’, the armed men pulled the trigger on him, even before he could flash his ID card. He died instantly”, a source said. When contacted on phone, the Chairman of Ogbadibo LGC, Hon. Sunday Ojoh had this to say. “When the robbery incident was going on this morning, we informed Operation Zenda and the Special Anti Robbery Squad (SARS) in Okpoga to please come to our rescue. The police authority is also fully aware of the case involving an officer from Ogbadibo who was shot last week. 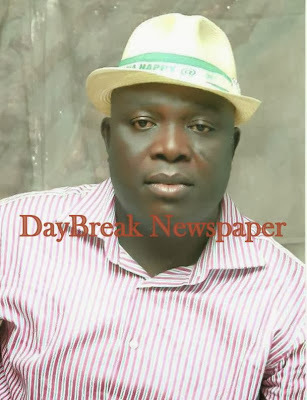 We have written to the Commissioner of Police on the state of insecurity in Ogbadibo LGA”. 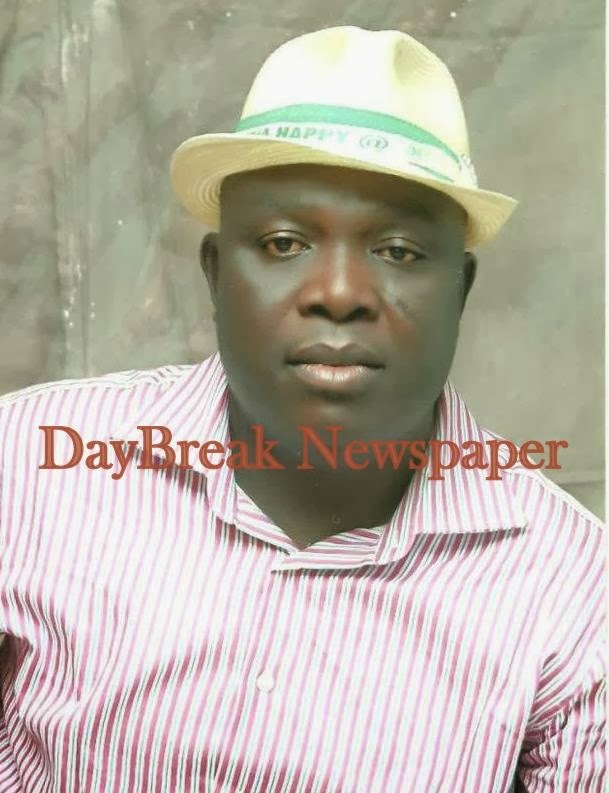 DayBreak Newspaper could not get the Divisional Police Officer in charge of Ogbadibo to speak on the issue. However, an authority from the Police Public Relation Unit at the State Command, Makurdi spoke to our correspondent. “We were informed that a Police Officer was killed in Otukpa and the matter is under investigation”, the authority said. When asked further about the reported case of road blockage by gun men this morning, the authority said the DPO in charge of Ogbadibo would be reached before making any comment on that. It is great reportage of horrendous news. Hardly wonderfu that we have robbers taken us out.